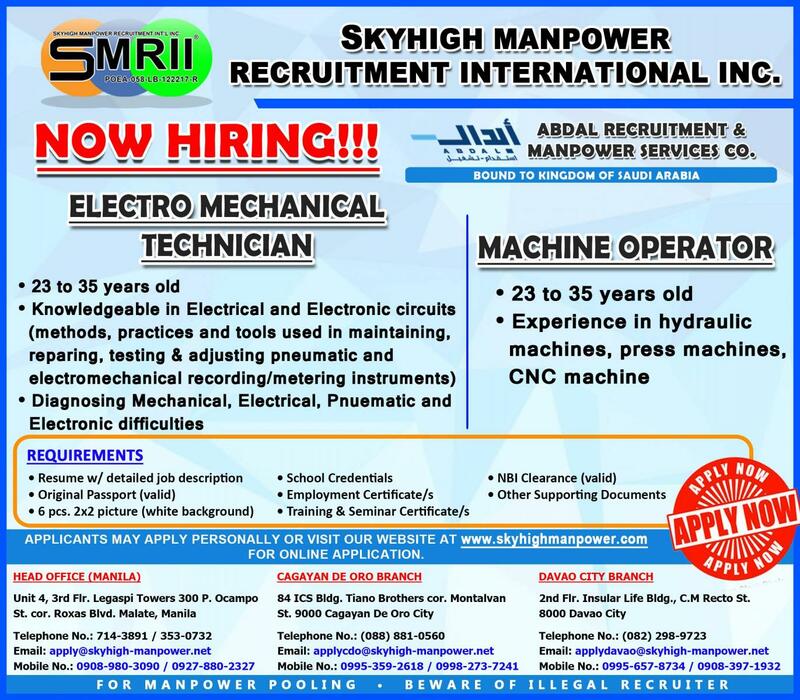 Company: Abdal Recruitment and Manpower Services Co.
CAGAYAN DE ORO-84 ICS Bldg Tiano Brother's Cor. Montalvan St. 9000 Cagayan De Oro. For more details, please see below ads.